When I was looking for ideas on how I can give a fresh look to our old home, I stumbled on a picture of a house that used beadboard paneling to accent the walls. Granted that it was an old picture of a similarly old house, I believe that the look and feel that beadboards provide are timeless, so it deserves a place on my walls. If you are not convinced about the virtues of using beadboards on your walls, please allow me to try to change your opinion about these classic decorative pieces. Beadboards were once made from separate planks of wood, usually scrap pieces left over from making of the house. But now, they come in four feet by eight feet boards that already have decorative beading carved into the boards; hence the name beadboard. These boards are usually made of a softwood like pine, so they will expand and contract depending on the air temperature, which is why I painted the paneling before I installed the top and bottom trim. These wall accents will look great on almost every room of the house, like the kitchen, the den; you can even use them for the walls in your bathroom as there are waterproof variants. One thing is for certain, once you have installed beadboards in one room, it will get pretty hard to stop. 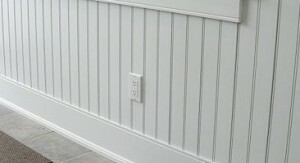 Can You Install Beadboard Paneling Yourself? I have some experience with carpentry, being an amateur woodworker, so installing beadboard panels was pretty easy for me. If you are not handy with a saw and hammer, then I suggest that you get a handyman to help you install them, it would only take him a short time because only one side of the panels will be trimmed to make them fit against each other. You can choose to paint the panels to give them a warm and welcoming feel, or if the panels already have a rather nice grain, you can have them wood stained for an elegant look. Whatever kind of look you are aiming for, beadboard panels are perfect design accents. 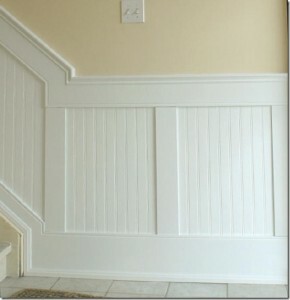 Where Can You Get Beadboard Panels? When I went looking for beadboards, I started looking in our local lumberyard, unfortunately they did not carry them, but I did find them in one of the local hardware, the only problem is that they were a bit on the expensive side. But when I searched for them online, not only did I find that they are cheaper online, there are also more choices in bead designs as well. There are also some that already came pre-painted so I do not have to spend more money on paint and labor. Beadboards not only protect the underlying wall from damage, they also give a homier feel to any room. So the next time that you feel the need to give your home a fresh and more appealing look without spending too much money, you should consider using beadboard paneling.